Peter is well known at Chatswood Enterprises for always offering a helping hand. It is just one of the things that makes him happy in his role as a Production Line Worker. 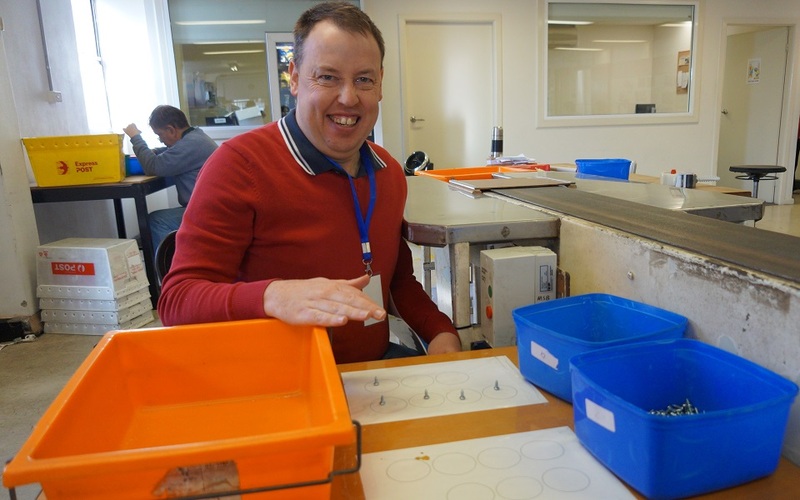 “I like helping people at my job.” Peter has worked at Chatswood Enterprises for over 10 years and is a team member that displays great care, respect and compassion for others. Whether it is assisting his peers off the bus each morning, daily tasks on the production line or helping out his Supervisors when required, it is these qualities in Peter that were recently recognised when he received the Sunnyfield Employee Excellence Award. A massive congratulations to Peter, thanks for shining bright and contributing within your workplace.